Here is a list of product releases and updates for late-January from companies that offer services to online merchants. There are updates on shipping, social media, support for entrepreneurs, email marketing, credit automation, and virtual shopping. 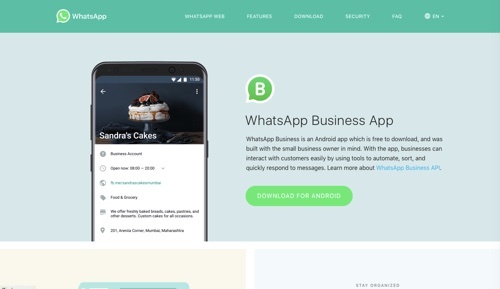 WhatsApp Business turns one, launches new features. One year ago, the WhatsApp Business app was launched. Today, there are more than 5 million businesses using it to support customers and grow their businesses. To help celebrate the first year of WhatsApp Business, some popular features can now be used on WhatsApp web and desktop. These include quick replies, labels, and chat list filtering. Quick replies provide frequent messages to answer common questions — press the “/” on your keyboard to select a quick reply and send. Organize your contacts or chats with labels, so you can quickly find them again. Easily manage your chats with filters to sort by unread messages, groups, or broadcast lists. Visa launches She’s Next campaign for female entrepreneurs. Visa has launched “She’s Next, Empowered by Visa,” a global initiative to encourage female small business owners. She’s Next will be supported by the Female Founder Collective, a network of businesses led by women, supporting women, that launched in 2018. From streamlining payment methods to linking female small business owners with like-minded peers and experts, Visa and Female Founder Collective will together offer resources and opportunities for female entrepreneurs. Over the course of 2019, Visa will create pop-up events around the world that offer practical tools, resources, insights, and networking opportunities for female entrepreneurs. ShopRunner adds UPS as an investor and acquires Precognitive. 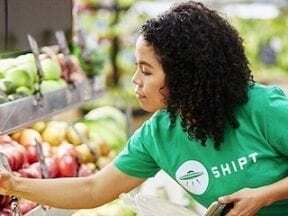 ShopRunner, a free two-day shipping and seamless checkout ecommerce network that connects retailers with millions of ecommerce shoppers, has announced that UPS has participated in its most recent round of financing. This partnership will allow UPS and ShopRunner to leverage their relationship to enhance retailer demand generation programs while adding a robust shopping platform for UPS My Choice members. In a separate transaction, ShopRunner acquired Precognitive, an enterprise fraud-prevention service that combines device intelligence, advanced behavioral analytics, and a real-time decision engine to help companies more accurately identify online fraud. Campaign Monitor expands into enterprise email market with acquisitions of Sailthru and Liveclicker. The CM Group, a family of marketing technology companies including Campaign Monitor, Delivra, and Emma, has announced the acquisitions of Sailthru and Liveclicker, adding nearly $60 million in revenue and 540 new customers, including Bloomberg, Samsung, and Fashion Nova. 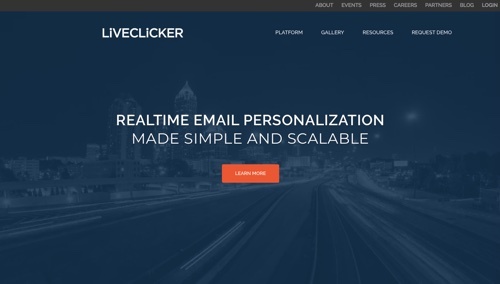 Sailthru, a cross-channel experience management platform, and Liveclicker, a provider of real-time email personalization solutions for marketers, bring scalable enterprise solutions to The CM Group. With the acquisitions of Sailthru and Liveclicker, The CM Group now has more than 500 employees and over 300,000 customers globally. Amazon Web Services announces AWS Backup. Amazon Web Services has announced AWS Backup, a managed, centralized backup service that makes it faster and simpler for customers to back-up their data across AWS services and on-premises. AWS Backup makes protecting storage volumes, databases, and file systems easier by giving customers a single service to configure and audit the AWS resources they back up, automate backup scheduling, set retention policies, and monitor recent backups and restores in one place. ActiveCampaign announces its integration for Square to connect online and offline data for SMBs. 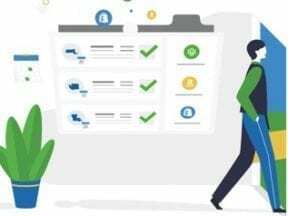 ActiveCampaign, a player in intelligence-driven sales and marketing automation for small-to-midsize businesses, has announced its integration for Square, in the Square App Marketplace. With the Square and ActiveCampaign integration, SMBs can leverage the power of automation to bring in purchasing data and order trends to segment customers, send promotions, and target buyers, seamlessly creating a personalized experience. The integration with Square joins the more than 250 applications that small businesses can connect to ActiveCampaign. 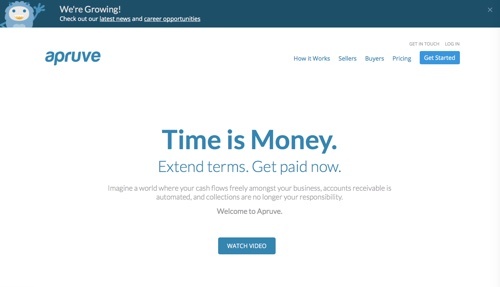 B2B credit automation platform Apruve raises $6 million in Series A financing. Apruve, a B2B credit automation platform, has announced that it closed on $6 million in its Series A financing. Apruve focuses on eliminating accounts receivable from the balance sheet of B2B companies. Its credit automation platform helps extend payment terms to customers without added back-office costs, cash flow concerns, or financial risk. Apruve pays suppliers within 24 hours of invoicing and takes on the financial risk and collections. ShipWorks enhances software and launches The Works. ShipWorks, an enterprise shipping software program for serious and successful ecommerce merchants and warehouses, has launched a series of product enhancements, including The Works, a single-piece shipping workflow to simplify warehouse shipping, especially for large volumes. A one-time scan tells the system what label to print, and in less than a second, the box is waiting for the carrier. The Works is an efficient way to combine all decision-making attributes onto one screen that manipulates the fields as required, allowing warehouse workers to avoid unnecessary mouse and keyboard activity. BigCommerce launches new shipping solution. Ecommerce platform BigCommerce has announced BigCommerce Shipping, a new end-to-end shipping solution designed to simplify shipping and fulfillment for more than 60,000 merchants using BigCommerce. Powered by fulfillment and logistics experts ShipHawk and Parcelcast, BigCommerce Shipping is a free solution for all BigCommerce customers, giving businesses selling on the platform access to accurate, heavily-discounted shipping rates and improved shipping margins. With BigCommerce Shipping, merchants can compare rates, print labels, manage orders, and reconcile shipping bills from a single dashboard. Wannaby launches AR app Wanna Kicks to virtually try on sneakers. Wannaby, a startup that creates augmented reality applications, has launched “Wanna Kicks” for finding sneakers. The iOS app uses AR to let users “try on” various sneakers. Simply choose a pair of sneakers from the list of 3D models, point the camera, and review the chosen sneakers virtually on your feet. FedEx tests FedEx Freight Direct for bulky deliveries. FedEx is testing a full-service delivery of bulky products, which includes carrying items into a customer’s home and light assembly. 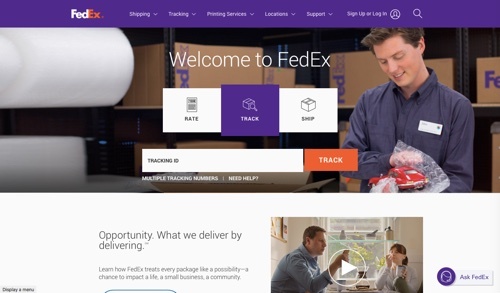 The pilot program, FedEx Freight Direct, offers delivery inside a home or business for large items such as a dishwasher or exercise equipment, along with assembly service. The service is intended to meet the demand for increased ecommerce purchasing of appliances, furniture, and other bulky items. The test began in the last few months, and FedEx has not specified when the test will conclude. The pilot program is being tested in six markets.